SmartFile recently attended Interop in Las Vegas (or Lost Wages as most know it) to promote our new enterprise file sharing offering. We were there with one intent, to inform the public about how awesome or on-premise file sharing and network management appliance is…and I believe we succeeded! The feedback was overwhelmingly positive and met with great response with a wide variety of business sectors from all over the world. To those of you who don’t know about Interop, it is a conference centered around the global IT community and focused on enterprise and business buyers. The show is huge and it’s hosted several times a year at locations around the world. This one in Vegas was a great conference that thousands of people attended, and you could tell everyone was having a great time throughout the 3 days there. One thing SmartFile was really excited about were the awards Interop hands out for various tech sectors. We placed in the top 3 for the Best of Interop – Storage Award, and we are very proud of this achievement (congrats to VMware for taking 1st place, we’ll be back next year to compete again). How did we manage to place top 3 for the Best of Storage award? Our new on-premise file sharing appliance, that’s how. 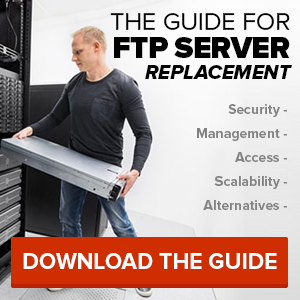 This is hardware that you can put behind your firewall on your network and manage your file sharing with more control, compliance, scalability, and integrations. Compliance-wise you will now know exactly where your files are located, no longer wondering which data-center they are being stored in. Also, you can easily create a private network for managing your internal file networks with activity auditing for every file and user activity. Every feature we offer with our cloud product is now on a device you can customize even more with better branding, AD (Active Directory) or LDAP integration, API integration for your existing software to utilize SmartFile as storage, and so much more. Here is the best part, it’s not just a physical appliance…we can deliver it virtually as well so you have options for your network. We also released a new feature called FileHub, where you can map your network storage through our interface to serve as a file proxy. FileHub lets you put activity logs, monitoring, sharing, and user permissions around your network storage while giving you another way to manage and add compliance to your files (and users). 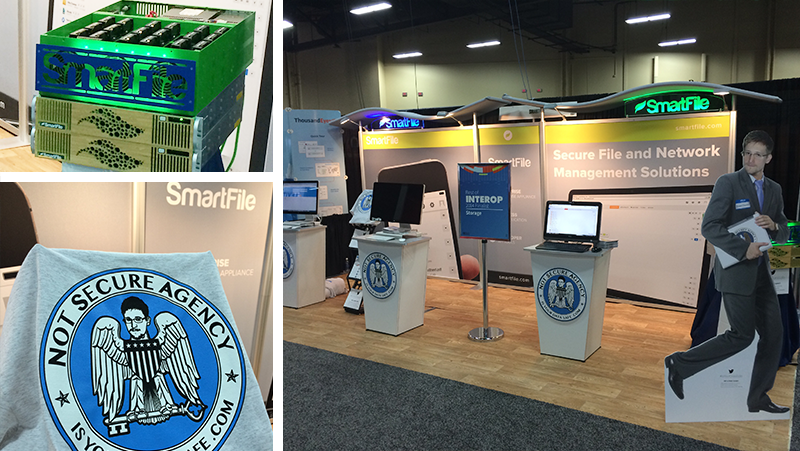 Overall, Interop was a huge success and a great time for SmartFile and our team in attendance. We met some great companies and made some noise with our unique marketing strategy and campaign (Edward Snowden and IsYourDataSafe.com). Keep an lookout for SmartFile at conferences and events in the future where we’ll be showing off our on-premise file sharing appliance to more of the world! I am the Creative Director at SmartFile. 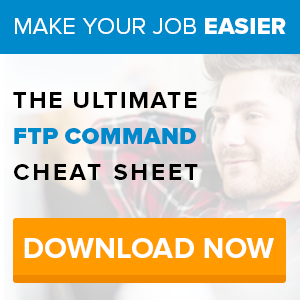 My job is to manage marketing on the internet for all things SmartFile. I maintain the design and development of SmartFile's website along with other social profiles. I love design and analytics, deadly combination but enjoyable nonetheless. Next Next post: Is Your Data Safe?